WOMEN’S HISTORY MONTH — “PHYLLIS HYMAN” – FOREVER LOVED SINGER!! Phyllis Linda Hyman (July 6, 1949 – June 30, 1995) was an American singer, songwriter, and actress. Hyman is best known for her music during the late 1970s through the early 1990s, some of her most notable songs were “You Know How to Love Me” (1979), “Living All Alone” (1986) and “Don’t Wanna Change the World” (1991). Hyman also performed on Broadway in the 1981 musical based on the music of Duke Ellington, Sophisticated Ladies, which ran from 1981 until 1983. The musical earned her a Theatre World Award and a Tony Award nomination for Best Performance by a Featured Actress in a Musical. Hyman was born in Philadelphia, Pennsylvania to Phillip, a World War II Veteran, and Louise Hyman, waitress at a local night club, and grew up in St. Clair Village, the South Hills section of Pittsburgh. The eldest of seven children, Hyman’s paternal great-grandparents were Ishmael and Cassandra (Cross) Hyman. After leaving Pittsburgh, her music training started at a music school. On graduation, she performed on a national tour with the group New Direction in 1971. After the group disbanded, she joined All the People and worked with another local group, The Hondo Beat. At this time, she appeared in the film Lenny (1974). She also did a two-year stint leading a band called “Phyllis Hyman and the P/H Factor”. She was discovered in 1975 by music industry veteran Sid Maurer, and former Epic Records promoter Fred Frank, and signed to their Roadshow Records/Desert Moon imprint. Hyman moved to New York City to work on her career. She did background vocals on Jon Lucien‘s Premonition and worked in clubs. In 1975 when Norman Connors was laying tracks for You Are My Starship (1976) he could not get permission to use Jean Carne for the album and had heard about Phyllis Hyman, who was working at a club on the upper Westside of Manhattan. One night after a Jon Lucien concert at Carnegie Hall he went to see Hyman perform and offered her a spot as the female vocalist on his fourth album for Buddah Records. Once the title song got airplay on jazz radio, You Are My Starship went gold, catapulting Hyman’s career along with Norman Connors and Michael Henderson to new heights. R&B radio jumped on board and Connors and Hyman scored on the R&B charts with a remake of The Stylistics‘ “Betcha by Golly Wow!“. Hyman sang with Pharoah Sanders and the Fatback Band while working on her first solo album, Phyllis Hyman, released in 1977 on the Buddah Records label. When Arista Records bought Buddha, she was transferred to that label. Her first album for Arista, Somewhere in My Lifetime, was released in 1978; the title track was produced by then-labelmate Barry Manilow. Her follow-up album, You Know How to Love Me, made the R&B Top 20 and also performed well on the club–dance charts. In the late 1970s, Hyman married her manager Larry Alexander, (the brother of Jamaican pianist and melodica player Monty Alexander), but both the personal and professional associations ended in divorce. Around this time, Hyman began using cocaine, for which she developed a lifelong dependency. 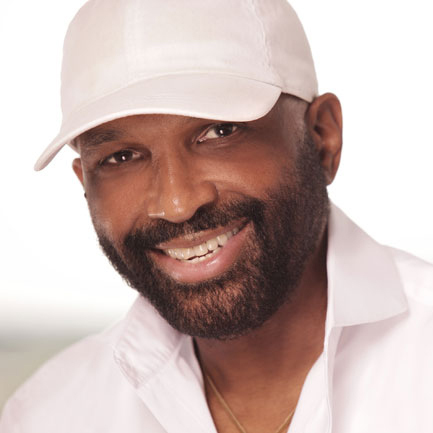 Hyman’s first solo R&B Top Ten hit came in 1981 with “Can’t We Fall in Love Again?“, a duet with Michael Henderson. The song was recorded while she was performing in the Broadway musical Sophisticated Ladies, a tribute to Duke Ellington. She performed in the role for almost two years, receiving a Tony Award nomination for Best Supporting Actress in a Musical and winning a Theatre World Award for Best Newcomer. Problems between Hyman and her label, Arista, caused a pause in her recording career. She used the time to appear on movie soundtracks, television commercials and guest vocals, working with Chuck Mangione, The Whispers and The Four Tops. Hyman provided vocals for three tracks on jazz pianist McCoy Tyner‘s Looking Out (1982). She toured often and did a college lecture tour. In 1983, Hyman recorded the song “Never Say Never Again” as the title song for the James Bond movie of the same name, written by Stephen Forsyth and Jim Ryan. However, Warner Brothers informed Forsyth that Michel Legrand, who wrote the score for the film, had threatened to sue them, claiming he contractually had the rights to the title song. An alternate title song composed by Legrand was eventually used for the film and performed by singer Lani Hall, formerly of Sérgio Mendes and Brasil ’66. Free from Arista in 1985, she released the album Living All Alone on Kenny Gamble and Leon Huff‘s Philadelphia International label in 1986, capitalizing on the torch songs, “Old Friend” and the melancholy title track, as well as “You Just Don’t Know”. In 1987, Phyllis Hyman recorded “Black and Blue” as a duet with Barry Manilow on his 1987 Swing Street Arista album. Manilow was a long time admirer of Phyllis and her work. Shortly afterwards, she appeared in the films School Daze (1988) and The Kill Reflex. She would also continue to lend her voice to albums for other artists and musicians, including Grover Washington, Jr. and Lonnie Liston Smith, while at the same time doing international tours. Hyman’s next album, Prime of My Life, released in 1991, again on Philadelphia International, was the biggest of her career. It included her first number-one R&B hit as well as her first Billboard Top 100 hit, “Don’t Wanna Change the World“. The album provided two more top 10 R&B singles in “Living in Confusion” and “When You Get Right Down to It”, and the less successful “I Found Love”. Just over a year later, she appeared one last time on a Norman Connors album, singing the title song, “Remember Who You Are”, which became a minor R&B hit. Prime of My Life has sold 454,000 copies to date. The album and debut single were both RIAA certified Gold in 1992. In November 1995, five months after her death, Hyman’s ninth studio album, I Refuse to Be Lonely, was released, also a journey into her personal life and death. Both the title track and the single “I’m Truly Yours” became minor R&B hits. I’m tired. I’m tired. Those of you that I love know who you are. May God bless you. Hyman was 45 years old. A memorial service was held at St. Peter’s Lutheran Church in Manhattan. The following week would have been her 46th birthday. Hyman was married once to Larry Alexander, who served as her music arranger from 1977 until divorcing in 1982. Hyman had no children. Hyman was also the first cousin of actor Earle Hyman, best known for his recurring role on The Cosby Show as Cliff’s father, Russell Huxtable. In November 1995, Hyman’s posthumous album, I Refuse to Be Lonely, was released. Although the project had an overdrawn gestation, to combat the delay in its commercial release, Hyman had started performing the tracks “This Too Shall Pass” and “I Refuse To Be Lonely” in concert. The delay in the album’s release adversely affected her both emotionally and financially and the delay was said to be cited over “cost negotiations”. Three years after her death, a second posthumous album of previously unreleased material was released. Songs were culled from various recording sessions from the mid-1980s into the early 1990s. Forever with You (1998) contains love songs, torch songs, bitter-sweet ballads, smooth jazz offerings and uptempo tracks, most of which showcase Hyman’s’ usual interpretation of heartbreak and strife. Hyman was quoted as saying that these songs were about “relationships gone bad!” Much of the material on this album was initially intended for her Living All Alone release. The song “Funny How Love Goes” contains a posthumous “duet” featuring vocalist Damon Williams. Half of Hyman’s vocals were re-recorded with both singers alternating vocals and providing Williams with exposure. The UK label Expansion released a jazz-soul orientated compilation in 2003 called In Between The Heartaches that featured cuts from her collaborations with Norman Connors, McCoy Tyner, Jon Lucien and Pharoah Sanders. It also included five unreleased tracks from her period with Arista records. During the filming of the James Bond movie Never Say Never Again, I co-wrote the title song for the movie with Jim Ryan. Warner Brothers informed our attorney that the song was to be used as the title song in the picture. However, shortly before its release, Warner Bros informed us that the song could not be used because Michel Legrand, who wrote the score, threatened to sue them, claiming that contractually he had the right to the title song. So my song was never released. The legendary Phyllis Hyman was my first choice to sing the song and working with her is one of the highlights of my musical career. I personally auditioned and sang the song to her while she was having breakfast in her manager’s office. After agreeing to sing the song, she arrived at the studio and, without any rehearsal and only having heard the song sung once at the breakfast audition, sang the song in one perfect take. Phyllis sadly took her own life in the [mid] nineties. The year before she died, she called me late one night and told me she felt that “Never Say Never Again” was her best and favorite recording.